Has Spring finally arrived? As I am preparing this article, the sun is shining brightly and the temperature is in the 50's. All we can hope is that winter has left us. We should all be preparing to add new members to our rolls. 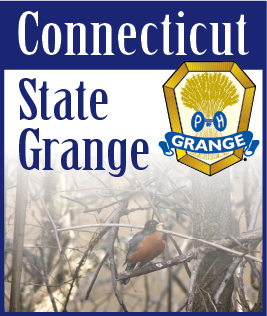 In April we must use publicity to plant the seed and make the public aware of the many benefits of Grange membership. It is our task to inform the public of the many contests and projects available in our fraternity. Not only will this attract new members, but it will also awaken the interest of our inactive members and bring them back into the fold. We must advertise ourselves and the good that we do, using all our resources to promote our cause. Additional laborers and maids are needed. In our fraternity there is work for all, but without the workers, the work cannot be done. Now is the time to plant the seed of publicity, and April showers will help the seed to grow, so we may reap a bountiful harvest.